Dr. Rick Goodman, CSP, is renowned as one of the most sought-after leadership and engagement experts. His keynote presentations and breakout sessions have produced transformational results leading to happier employees, increased productivity and, most importantly, HIGHER PROFITS. Dr. Rick has the distinction of delivering over 1,000 presentations in all 50 states and six countries. In 2014, he earned the Certified Speaking Professional (CSP) designation. Established in 1980, the CSP is the speaker profession’s international measure of speaking experience and skill. Fewer than one percent of all professional speakers worldwide hold this designation. Dr. Rick is a serial entrepreneur who walks his talk and shares his winning philosophy with his audiences. Before turning 30 years old, he created and sold one of the largest medical practices in Missouri. That same year, Dr. Rick founded a new enterprise that is still active today. Its mission is to introduce his leadership and team building formulas and systems into 10,000 businesses worldwide. In March 2000, Dr. Rick became Vice President of Neurology Associates Group, and, in just three years, grew the company from two facilities to 13, with more than 100 employees and revenues in the millions. 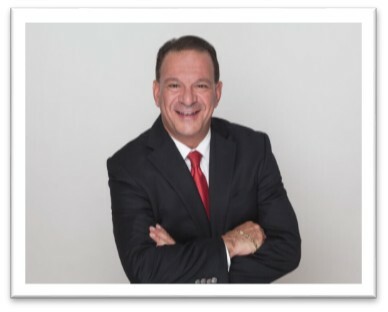 Then, in 2002, Dr. Rick also founded Advantage Continuing Education Seminars (ACES), which has become one of the fastest growing continuing education companies in its field, providing programs in seven distinct categories, including legal, accounting, human resources, medical, construction, sales and marketing, and customer service. In addition to his 25-year speaking career, Dr. Rick is the author of three books: “Living a Championship Life – A Game Plan for Success,” a book combining his success philosophy with stories compiled during his tenure as one of the team physicians for the Super Bowl champion St. Louis Rams and the St. Louis Ambush professional indoor soccer team; “My Team Sucked: Ten Rules That Turned Them Into Rock Stars,” a small book with real solutions on leadership, engagement and business growth; and “Jamie’s Journey: Travels With My Dad” (co-author), written by his 16-year-old daughter Jamie, as featured on ABC, NBC, CBS and “The Today Show”. Dr. Rick’s writing style integrates real-life stories with innovative and engaging solutions to real-world challenges. His articles are a favorite with national publications and corporate/ association newsletters. He understands the value and importance of life-long learning. Dr. Rick’s books, CDs, DVDs, online learning and virtual presentations have influenced the lives of individuals around the world. His presentations and products are all designed for achievers who want to grow and implement a system that fosters great leadership! He attended and played ice hockey at Kent State University and received his Chiropractic degree from Logan University. Dr. Rick regularly spends time and keeps in touch with many of his grade school friends as proven by his Facebook page! Check him out! Everyone who hears his message leaves motivated and re-energized to achieve peak performance and balance in their lives! Don’t miss him! Please feel free to download Dr. Rick Goodman’s Bio for all of your promotional descriptions for your event.